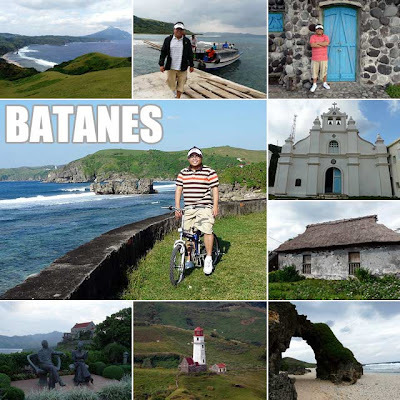 Batanes: Ultimate Batanes Heritage Tour from March 21 to 24! Book Now! So much has been said and so much has been written about it. But the best way to really take in all the superlatives is really just to be there! This is Batanes province! Let's journey through northernmost territory of our archipelago and get intimate with rugged beauty of these islands. We'll discover Basco, the charming seaside capital and explore beautiful Batan Island cruising along her stunning blue ocean-meets-green mountain scenery. Travel over to neighboring Sabtang Island and get acquainted to the unique Ivatan way of life visiting old villages, traditional stone houses, colonial churches and stunning ocean views. And to top it off, your home away from home is the best address on the island - Fundacion Pacita, on top of a hill with gorgeous island views! The tour fee is PHP28,000 per person inclusive of airfare, transportation around Batanes, accommodation and all meals. We can only accommodate a maximum of 20 people for this tour. For bookings and inquiries, e-mail us at info@ivanhenares.com. Yes, it's finally up and running! You can now get updated on our latest tours at www.ultimatephilippines.com. Make sure you also join our group in Facebook! Ivan, are there other tour dates?Or the calendar on the website is pretty much it for the rest of the year? Kahit dalawa per year? haha. Thanks anyway. I'll look forward to next year then. Ivan, if you have your airfare and accommodations all set can we still join your group for the tour? Airfare yes but own accommodation no. That's because Fundacion Pacita is part of the experience of our tour. And we don't want to add to the logistics by having to pick-up people from other hotels. Several of the meals will be in Fundacion Pacita as well. Yeah, our tour includes visits to places and experiences not included in the regular Batanes tour. Plus Fundacion Pacita is the best place to stay in the province! Hope you could join us! Hello Ivan! Im looking to go to Batanes with a group in Feb, 2011. Do you have any tours available at that tine please? Hi,I was able to view your adventure about Batanes and it's so cool. they have one of the cheapest tour package in town.... - John.